Kean's Gospel Choir will be releasing their first single "Behold Him" and holding a free single release gospel concert Sunday, Oct. 21. Kean Gospel Choir will be holding a free gospel concert to celebrate the release of their first single, "Behold Him." The gospel concert will take place Sunday, Oct. 21 at 6 p.m. in Agape House of Worship at 239 E First Ave. in Roselle, New Jersey. "Behold Him" was written by Malcolm Evans, the musical director of Kean Gospel Choir. Interestingly, Evans had been inspired to write the song years before even joining Kean Gospel Choir. However, after working with the choir, he felt the song was destined to be sung by the group. Thus, on October 2017, Kean Gospel Choir packed over 25 members into a recording booth to bring the song to life. In the years since Kean Gospel Choir has recorded the song, they have continued to perfect their presentation as well as grow a close relationship to the song and each other. President Danielle Thomas said, "I'm extremely proud of my choir. We have worked so hard on this project, and now we get to let everyone in on it. This has been our little baby, but now we get to share it with the world and I'm so grateful. I'm excited to see the response, and I just know that everyone will love it!" The "Behold Him" single will also be sold at the venue for anyone to enjoy. Along with performances by the Kean Gospel Choir, the concert will also have a performance by singer songwriter, Rich Tolbert, Jr., who is best known for his single "Miracle Worker." Matt A. Talley, minister and worship leader for Agape Christian Ministries of Paterson, New Jersey will also serve as a guest host for the gospel concert. 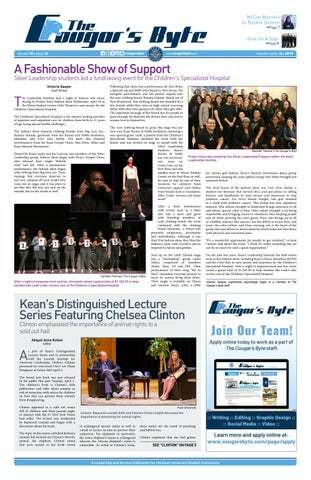 In the years since it began in the late 1980s, Kean Gospel Choir has grown to become an accomplished representative of Kean University, winning many competitions and prestige over the years. The choir was established to give Kean students an outlet to praise God through song and fellowship. 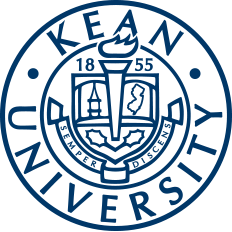 The group is exceptionally involved within the Kean community, dedicating their time to serve in various events, memorials and graduation ceremonies. Kean Gospel Choir has also earned a name for themselves outside of campus, winning the McDonald's Gospelfest three consecutive years in a row in 2016, 2017 and 2018, while earning a feature on Fox 5's "Good Day Street Talk" in April 2016. The group has also had the chance to collaborate with the Sons of Serendip, a renowned quartet best known for their accomplishments in "America's Got Talent". Kean Gospel Choir continues to be an integral part of Kean University, extending the impact of their reach even farther with their first single release. For more information or to RSVP, check out the "Behold Him" Single Release Concert event page on Cougar Link or email a representative of the choir at gospel@kean.edu.